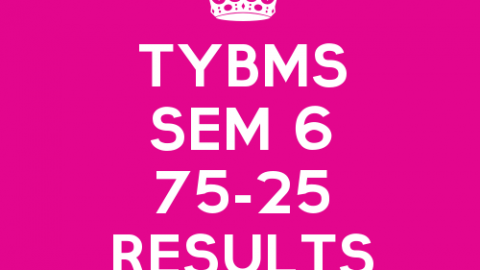 TYBMS Sem 5 Results Update! Home TYBMS Sem 5 Results Update! If the MU.AC.IN website is down, it DOES NOT mean RESULTS are out! Today is a National Holiday and Results may be or may not be declared tomorrow! i.e. 27th January, 2011. Why smart students achieving O grade failed? When TYBMS Sem 5 Results 2010 be declared? Scored 79 percentile in CMAT? What to do next? CAT 2010 Results are out!! Ethics V/s Making a LivingTYBMS Sem 5 Results 2010 not Declared! it may be declareon 29th of jan…. When will the TYBMS results of sem5 be declared 2017-18….date of result to be declared.